Peaceful Resistance of Santa Rosa, Jalapa and Jutiapa member from Santa Rosa de Lima speaks to the press during a conference held at their second permanent resistance camp in front of the Guatemalan Constitutional Court on November 29. 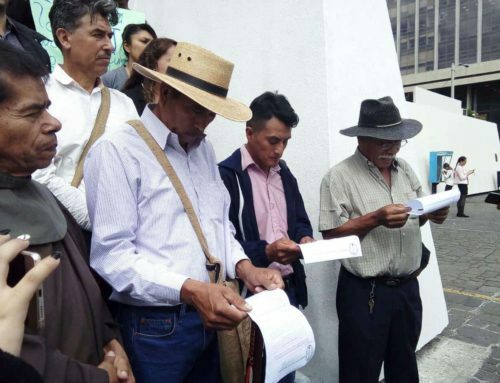 Community members from Santa Rosa, Jalapa and Jutiapa have been camped in front of the Guatemalan Constitutional Court for almost a month to protest the impacts of Tahoe Resource’s Escobal silver mine in their territory. Yesterday, they held a press conference in which they reaffirmed their resolve to stay put until the court justices make a legally founded decision in a case that could permanently close the world’s third largest silver mine, a project that has been met with broad community opposition since its inception in 2010. The following is a translation of the press statement issued at the permanent peaceful resistance camp in Guatemala City on November 29. To read the original version in Spanish, click here. 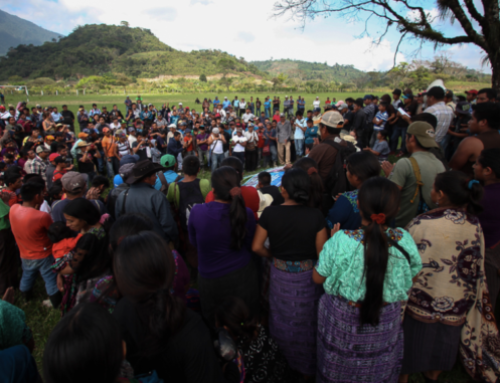 The Xinca People’s Parliament of Guatemala and the Peaceful Resistance of Santa Rosa, Jalapa and Jutiapa regarding the incidents that have occurred in the last few months: to the media, different companies, Guatemalan state institutions, and the general public. 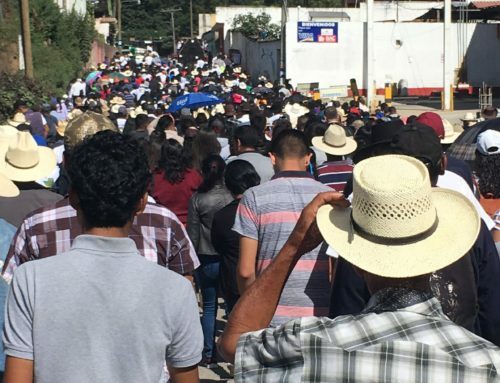 That since June 6 of the present year, we have maintained a peaceful resistance in the municipality of Casillas, Santa Rosa which denounced in a press conference on October 8 the incidents that seek to delegitimize our constitutional right to peaceful resistance. 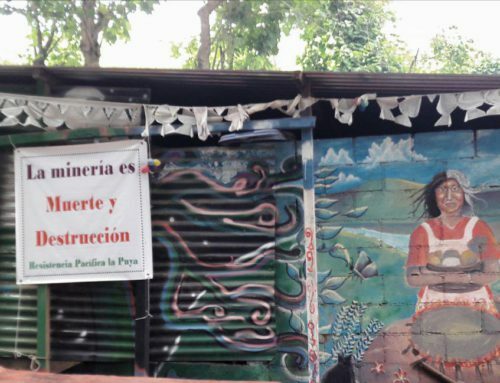 That since November 6, we have decided to establish a second permanent camp in front of the Constitutional Court building until the justices of said court attend to the demands of the Xinca People, resolve according to the law and permanently suspend the “El Escobal” mining project, property of Minera San Rafael S.A.
Any kind of provocation by Minera San Rafael, S.A. that aims to delegitimize the peaceful resistance in Casillas, Santa Rosa with the intention of subsequently sustaining acts of criminalization against the population in resistance to their “El Escobal” project. 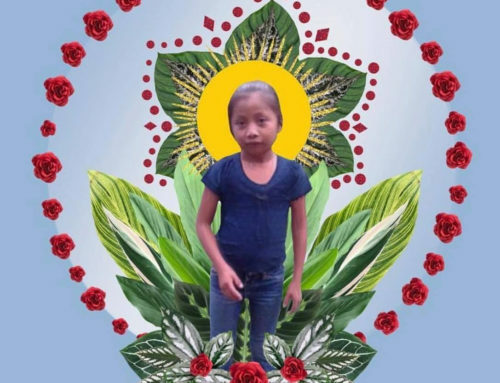 The alleged social activities that they are doing in communities with the intention of collecting signatures and copies of Personal Identification Documents (DPI), actions that take advantage of the poverty in the communities and that do not substantiate the acceptance of the mining project in our territories. The excessive helicopter activity that has continually been seen flying towards the “El Escobal” mining project installations, property of Minera San Rafael S.A., without knowing what operations are being executed. The Public Prosecutor’s Office to investigate the incidents previously mentioned in the greatest expediency possible first, to rule out any act that aims to undermine the peaceful resistance of Casillas and second, to verify the fulfillment of the Supreme Court verdict that maintains the suspension of the project’s exploitation license and ensure that illegal extraction is not taking place. 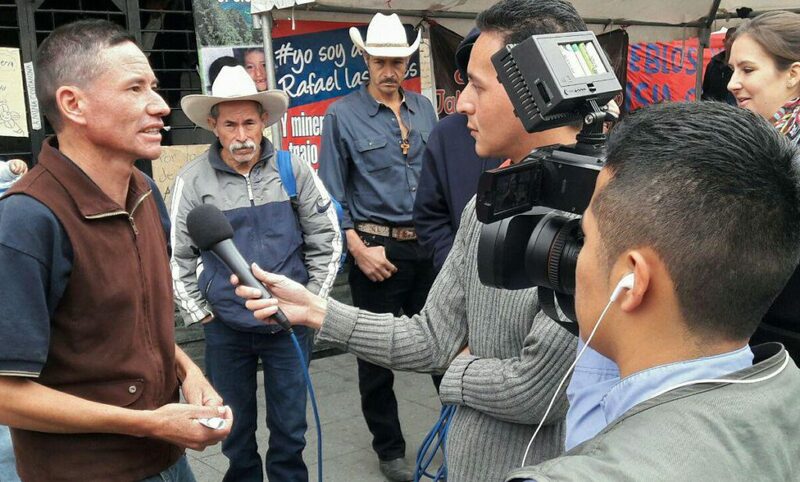 The honorable justices to not be intimidated by the media activity that maliciously seeks to create opinion that [the mining project] generates economic development in the region, an outcome that they have never been able to demonstrate since the poverty rate and the deficient living conditions in the area are the same or worse in our communities and since San Rafael Las Flores is receiving food from the Ministry of the Interior, according to their records, since October 2016 due to acute malnutrition rates. A congruent verdict that recognizes that our rights have been violated and that in order to restore them, it is necessary to suspend activities of said project.